If you're on the prowl for organic and recycled materials, visit Two Trees. I love her work. Pillows and smocks for children (what little girl doesn't feel special finger painting in a smock?) Her work is so detailed, so delicate and natural looking. 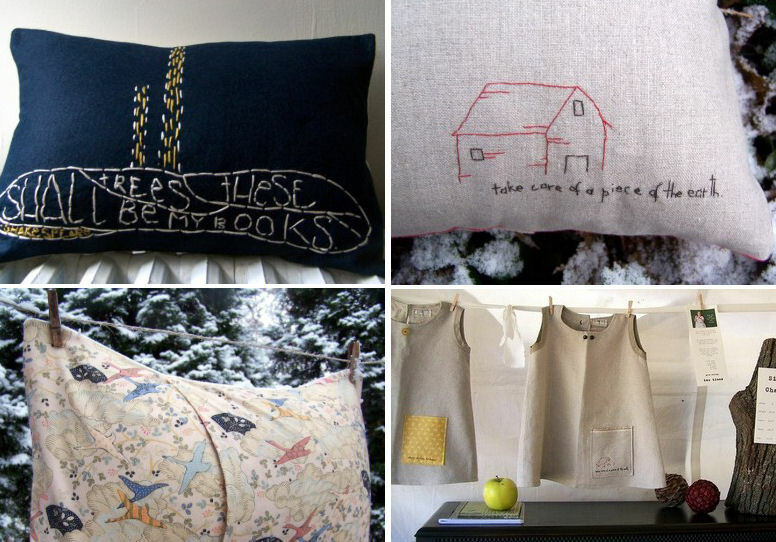 I just love the two sided pillows, the patterned fabrics she uses for the reverse sides are wonderful. I adore this seller... I hope you do too.